If you’ve been itching for new ’60s-inspired minimalist psychedelia from Texas indie rockers Spoon, then here’s a soothing balm of news for your impatient soul: The band has announced its ninth studio album, Hot Thoughts, due out March 17. 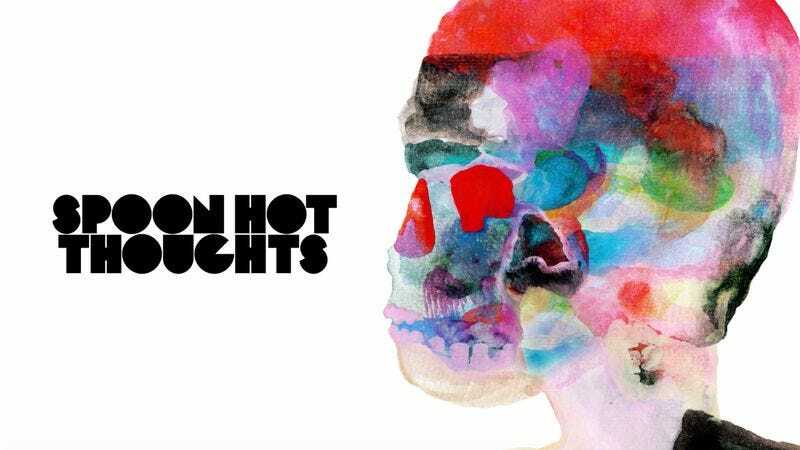 Hot Thoughts sees the band returning to its original label home at Matador Records, which released Spoon’s debut album Telephono in 1996 and followup EP Soft Effects in 1997. Now, 20 years later, Spoon is back on Matador with 10 new tracks produced by Dave Fridmann, who, as The A.V. Club said in its review, also “introduce[d] new elements of chaos into the refined sound” of the band’s last album, 2014’s They Want My Soul. Spoon has also announced festival dates at Panorama NYC and Madrid’s Mad Cool Festival, and those expecting to see the Austin-based band at SXSW have reason to be optimistic, especially since the festival coincides with Hot Thoughts’ March 17 release date. There’ll be more to come on that front, but in the meantime you can check out the first single from the album, also called “Hot Thoughts,” below.